Experience Israel through a camera! The Jerusalem Film Workshop is a six-week workshop where student participants learn the ins and outs of film making, camera shooting and editing while working and networking with Israel's top-notch producers and directors. Last year, the workshop hosted 21 participants from the US, the UK, India, China, Brazil and more, while each participant created two films which were screened during the Jerusalem Film Festival. This year's workshop will be taking place June 28th - August 7th, 2015. 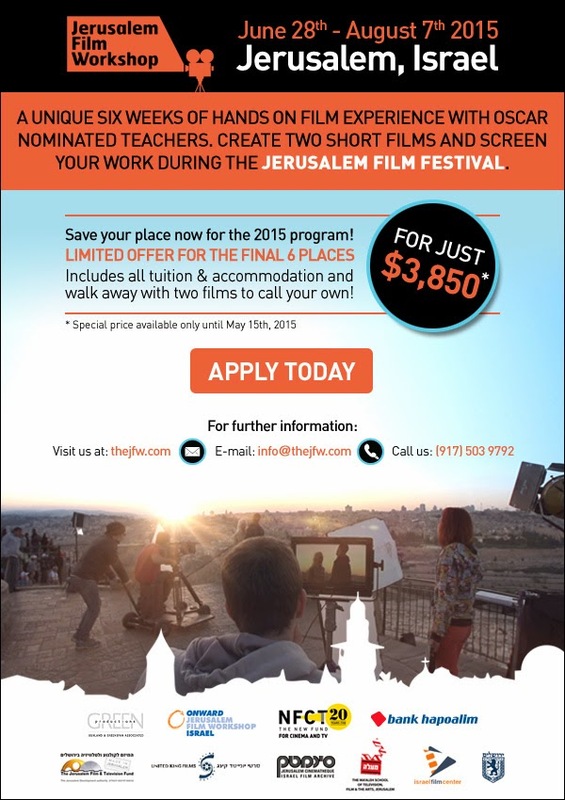 The Jerusalem Film Workshop has only 6 spots left and offers a discount of $550 off!